The rusty buddha. 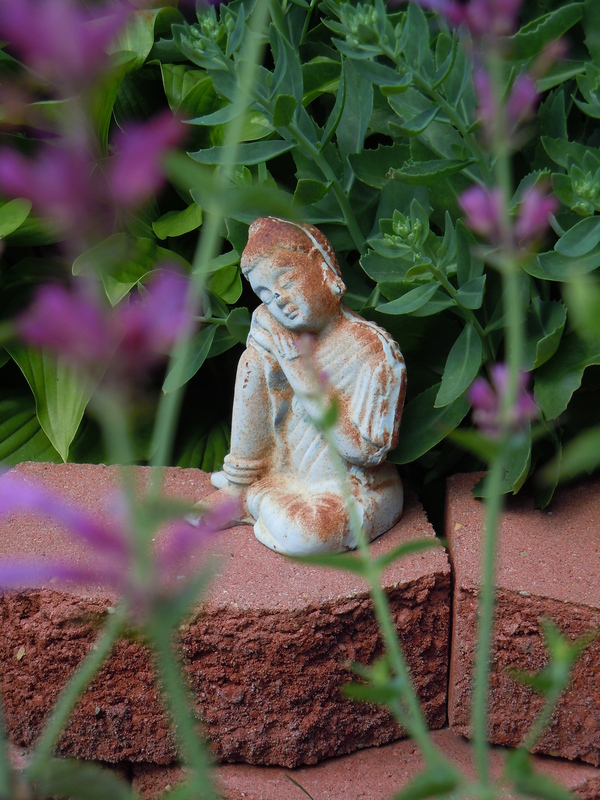 A garden decoration we bought several years ago. He’s made out of metal, so we haven’t bothered to bring him inside during the winter either. He sleeps all day, or at least while we are looking, and guards the large middle flower bed. I like this picture of him looking through the new agastache along the garden path.